Posted on July 8, 2018 by Tom Richardson Posted in How to..., Phone Spy Apps Blog . Everything that happens in our lives happens online. We chat, make plans, discuss politics and books, find all the information, watch movies and listen to the music with the help of the Internet. And the more we are involved into that online communication the more we would like to know about our relatives, friends, employees, beloved. You probably do not know any person who does not use electronic post. Today it is the most necessary tool for communication, registration on different websites, business communication, subscription on different blogs, etc. With the help of emails you may find any information about another person. But there is a question that needs to be solved: getting someones gmail password without them knowing. Is that possible? Which software to use for monitoring other people? Perhaps the best software to get someones gmail password without them knowing is tracking app with the keylogger. However, there are many applications that provide information about passwords without keylogging. Keylogging is the process when the software tracks all the passwords and other logging information that is entered at the device. MSpy, for example, provides the information about passwords for all the famous applications that are installed on the device. To get the password, information about sent and received messages, activity on the Internet you just need to enter your personal account and check information that is interesting for you. 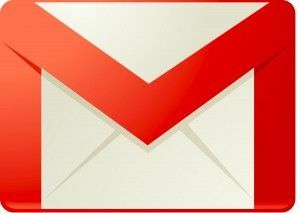 Those who decide to use tracking software to get someones gmail password without them knowing are particularly interested in the safety of this process. Can the person get to know that someone is looking over his phone? Reliable and responsible software providers make sure that process of tracking on other person’s devices are absolutely safe. And really, it is absolutely undetectable. However, some software providers which are used in demo mode do not provide this option. So if you buy a license and use services of the reliable spying software you may be sure that your actions will not be detected by the owner of the device. But we want to notify you that in order not to break some state laws you need to tell the owner of the device you are going to spy on him. The other important issue is how it works. In fact, any spying software just collects the information that is kept on the device and provides it to the account of the person who has bought a license for software that tracks the particular device. If you install tracking software to find out password other person’s Gmail account at iPhone or iPad, you need to remember that you should use apps without jail break. In this way you will ensure safety of the information on the device. Each software provides its own set of the tracing services. Regularly, basic set of provided options includes access to the Gmail passwords, as long as the access to the messages that the device sends and receives. But before you choose the software it is better to check what services the app provides. I’ve read enough to understand that it’s simple, useful and sensible… However, what should I do if one day I find out that someone’s tracking on me? For example, I get an e-mail from someone whom the one who spies on me doesn’t want to see in my contacts. I read the email, but later find it deleted. Is it possible that someone can get hold of my mail and control it? Is there a chance to somehow wipe this spy app out from my device? Cell phone tracking software allows you to spy on deleted texts as well. However a cell phone spy should be installed on the target device before the messages were deleted. All tracking apps work unvisible on the phone, so you could not just remove the software. Antivirus program will not show it as well. The only thing you can do is to reset your cell phone and change all the passwords. In order to learn someone’s password, you should install a cell phone tracker on the target device you want to monitor and use the keylogger feature to track every tap on the monitored device.